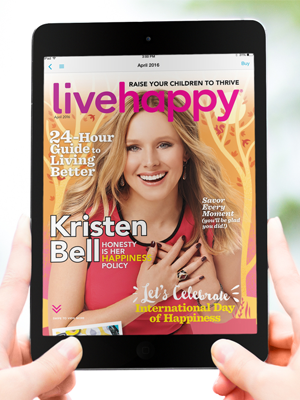 Bates Creative is honored to receive a Gold Muse Creative Award for its design and development of the redesigned Live Happy magazine app, which launched with its April 2016 issue. As a first time entrant, Bates Creative is thrilled to be acknowledged with this prestigious award, which recognizes the agency’s work in transitioning the Live Happy magazine app from the classic DPS platform, to a responsively designed app on Adobe’s reimagined AEM Mobile platform. Bates Creative leveraged Adobe MUSE to develop HTML templates to redesign the experience of the app, giving Live Happy the ability to deploy its content in a responsive format to tablets and smartphones while maintaining the offline app experience for readers. The new app built with AEM Mobile also enables Live Happy to leverage the new browse page feature and organize its content into specialized collections of its choosing, paving the way for future content marketing strategies and promotions. Visit Bates Creative’s in-depth blog post on the new Live Happy magazine app for more details on the team’s strategic thinking behind the new app. Muse Creative Awards is an international competition that recognizes the best creativity in advertising, design and digital. The competition is focused on recognizing creative professionals who “follow the spark of an inner muse, lighting the path to success with deep knowledge and shining originality.” The full list of 2016 winners can be viewed on the awards website.